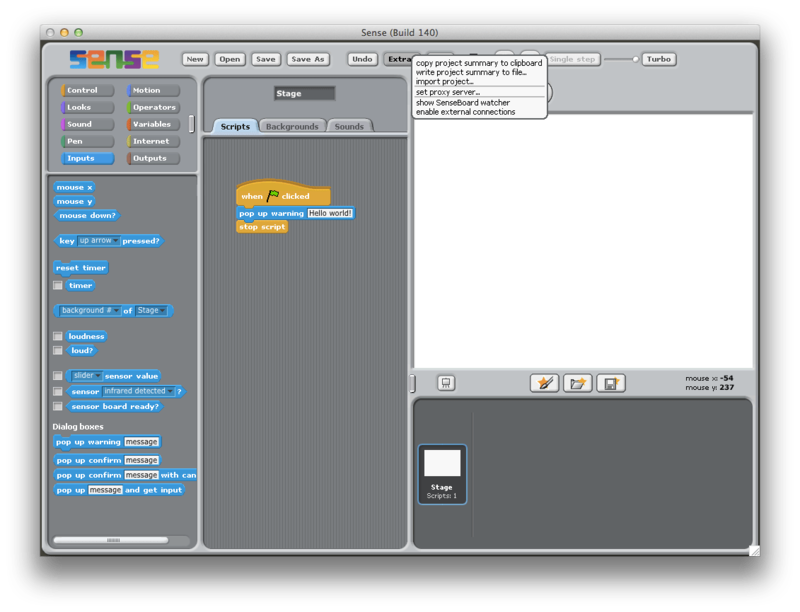 As part of my studies, I have been “programming” in Sense, a version of Scratch, the graphic programming environment developed at MIT. The programs developed in Sense are stored as .sb-files. Now, the problem is that these files are only readable by the program that made them (and Sense programs are apparently not readable by Scratch). The problem this poses is that I can’t be assured of being able to read the files when, at some point in the future, I might want to.